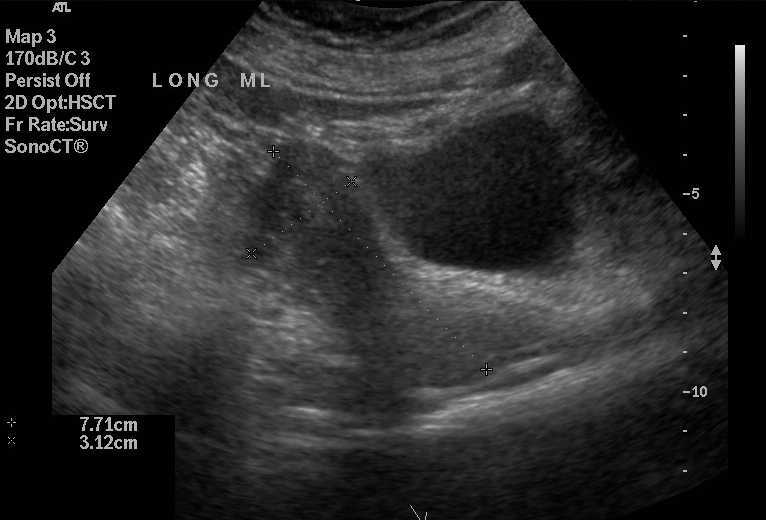 This pathway provides guidance on the imaging of adult female patients with unexplained postmenopausal bleeding. 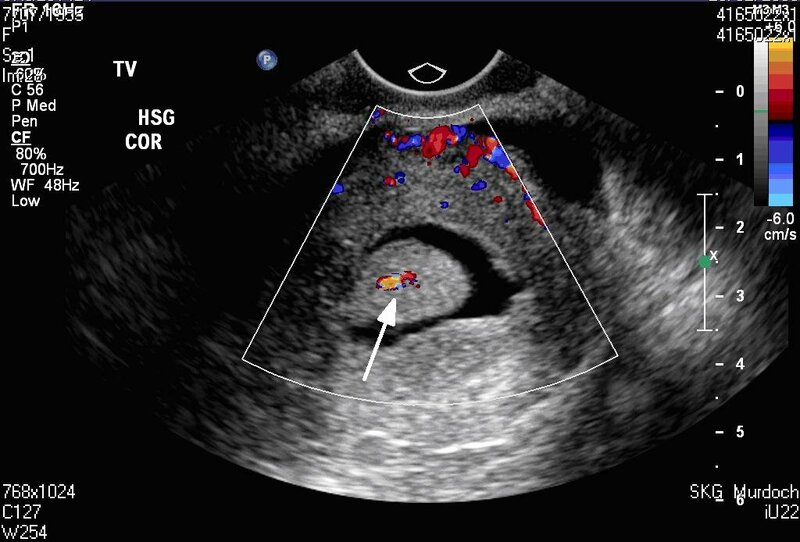 Image 1 (Saline Infusion Sonohysterography): There is a soft tissue structure connected to the endometrium via a thin stalk and supplied by a single blood vessel (arrow). 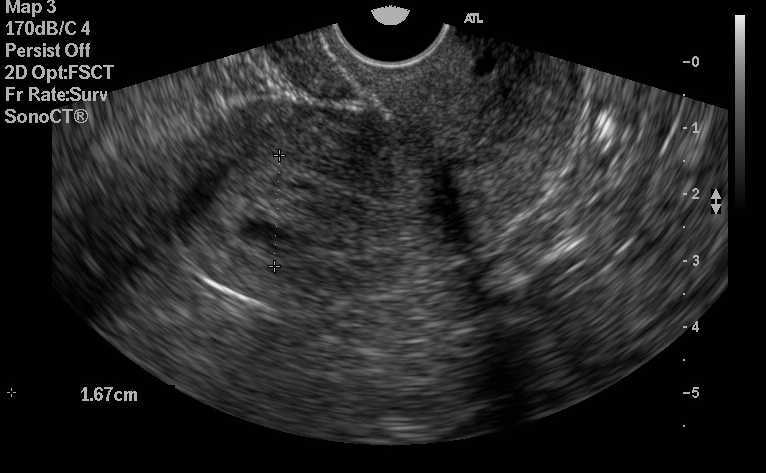 The features are consistent with an endometrial polyp. Image 2 : Hysterectomy specimen showing a polyp arising from the fundus of the endometrial cavity. Histological examination confirmed this to be an adenomyoma. 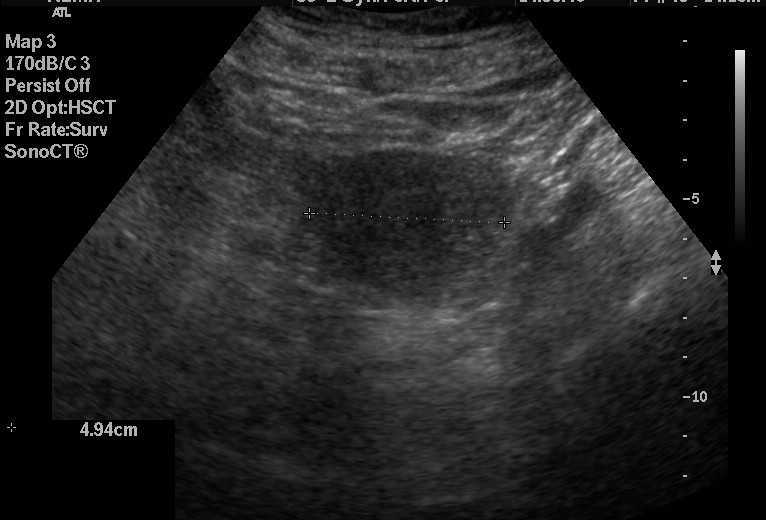 Image 3a, 3b (Transabdominal Ultrasound) and 2c (Transvaginal Ultrasound): The uterus is anteverted and measures 77 x 31 x 49mm. There are no signs of fibroids. The endometrium is 17mm thick at the fundus and has a number of cystic spaces within it. No free fluid is seen in the pelvis. 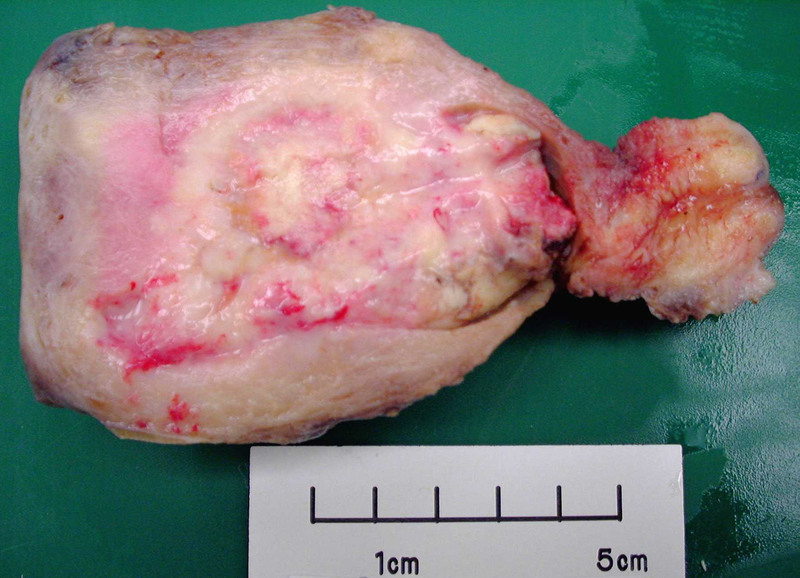 Biopsy confirmed endometrial cancer. 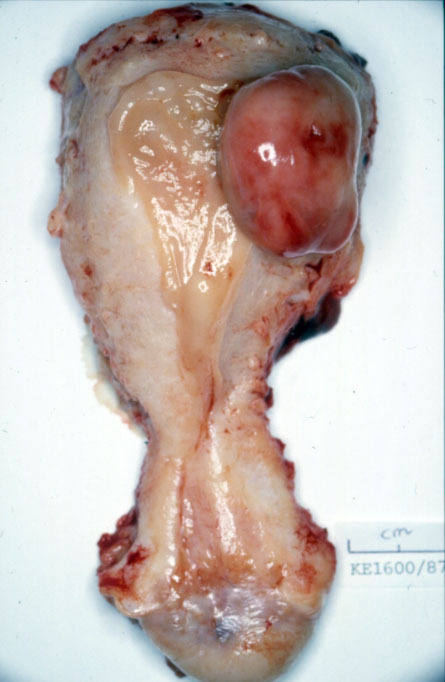 Image 4a: Hysterectomy showing an extensive endometrioid adenocarcinoma filling the endometrial cavity down to the isthmus. 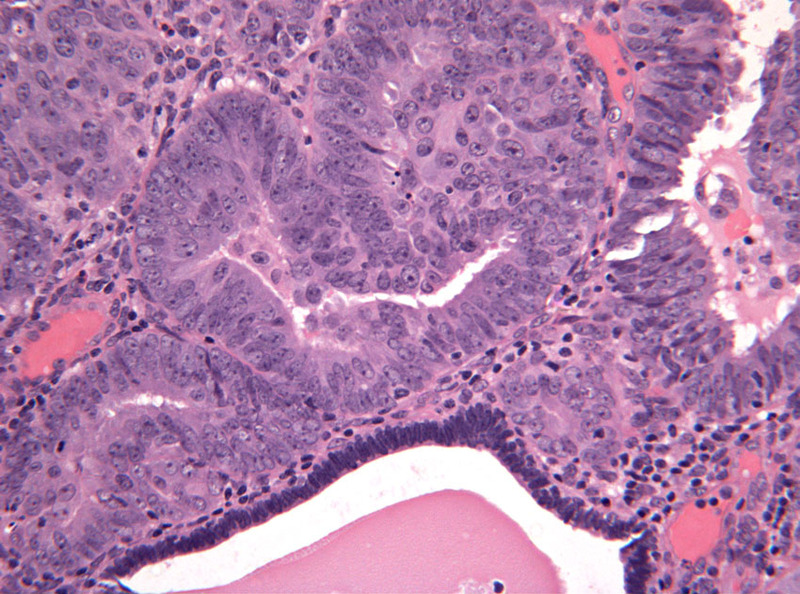 4b Image 4b (H&E, x2.5) and 4c (H&E, x10): Uterine curettings showing an endometrioid adenocarcinoma composed of closely packed glands with complex architecture. 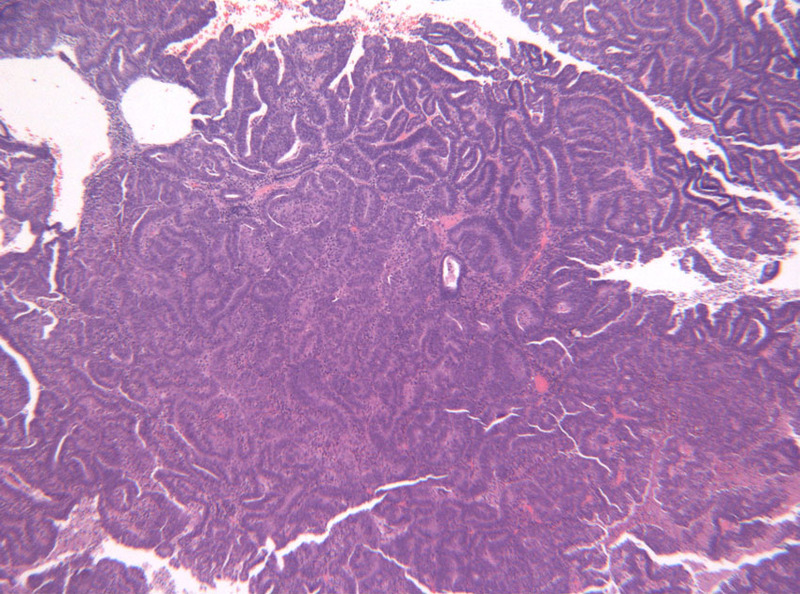 At high power, the malignant cells are columnar and demonstrate irregular nuclei with prominent nucleoli and occasional mitotic figures.